New Russian Law “On Energy Saving”: Will It Work? 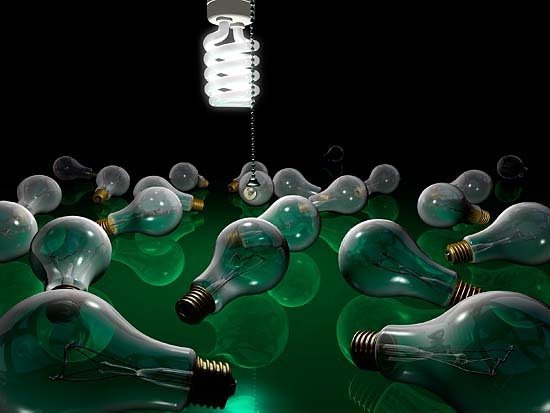 Recently, in late November Russian Federal Law "On energy saving and improvement of energy efficiency" came into force. To make this law working instrument several additional governmental decrees as well as special federal programs of action should be adopted. RSEU considers that the big disadvantage of this Law is excluding from the draft the important chapter, devoted to the rights of ordinary energy consumers. Like the previous law "On Energy Saving" of 1996, this Federal Law "On energy saving and improvement of energy efficiency" came into force and replaced the law " is not a law of direct action: most of the measures mentioned in it require issuing of additional governmental decrees as well as special federal programs of action. Today, energy use in Russia is extremely inefficient. The new law is an attempt to change this situation. However, many provisions of the new law remind of the words its authors used in their memorandum to describe the 1996 law: ”general and declarative”. The law spells out most specifically gradual ban for incandescent lamps from 2011, obligation of state organizations to reduce energy consumption by at least 3% per year over five years, as well as labeling of goods in accordance with their energy efficiency - similar to what already exists in the EU. However, a complete ban for incandescent light bulbs after 2012 is only a possible scenario: as the new law puts it, "Since Jan. 1, 2013 circulation of electric incandescent lamps of seventy-five watts or more... may be banned, and since 1 January 2014 electric incandescent lamp of twenty-five watts or more may be banned”. Using such wording, the government would be able to postpone or even cancel this transition to energy-saving and LED lamps. What makes this transition even more difficult is the lack of system for utilization of energy-saving light bulbs (they contain a small amount of mercury), and it is unclear whether such a system could be created within a short period of time. Corresponding state program must, according to the new law, be prepared by the government and implemented from 1 January 2011. Today, price difference between an incandescent lamp and a energy-efficient lamp in Russia is at least tenfold, but it is expected that with the increase of production of energy-saving lamps in the country, their price will fall, and their use would result in significant savings. The new law stipulates that the government can restrict not only of incandescent lamps, but other energy-intensive goods as well - but no specifics are spelled out. In the nearest future Russia is highly likely to be flooded with a stream of power-consuming devices, prohibited for circulation in the EU since 25 February 2010. The 1996 law resulted in Russia in emergence of energy audit for buildings and structures. The new law complements the requirements for housing, creating additional checks. Owners of houses and apartments will be required to install metering devices for water, gas, heat, electricity. In addition, by 1 January 2012 every household will also be equipped with meters, and, for example, owners of the apartment will know how much energy they use and how much is lost inside the house and should also be paid by them. The law certainly places an additional burden on the shoulders of ordinary home and apartment owners, – after privatisation in Russia more than 70% of apartments in large cities are private – but then in theory it should exempt them from paying out for energy loss outside the house during energy transfer: this should be paid by energy suppliers. According to some commentators (http://www.forbesrussia.ru/column/28493-chem-grozit-zakon-ob-energosbere...) the authorities give a signal to consumers: do not expect constraints in the pace of liberalization for the market of electricity, gas and utilities, prices will continue to grow : energy saving is the only salvation. This becomes quite obvious while monetization of privileges in Russia is ongoing, for example senior citizens will not get reductions in payment for their apartments, but will have to pay the full price, getting later some cash refund. According to the new law, municipalities and regional authorities, as well as the federal government will have to work out and implement energy saving program. A recent study (link: http://www.kommersant.ru/doc.aspx?DocsID=1285315&NodesID=4) of energy efficiency in Russia, conducted by consulting company McKinsey, shows that installation of thermostats and heat meters in houses would reduce energy consumption in this segment by 20%. Note that experts see greatest potential for energy saving in Russia in public housing, not in the fuel and energy sector, industry or transportation. At a recent seminar of Russian Socio-Ecological Union, specialist of the All-Russian Research and Design Institute of Power Industry Yevgeny Gasho said that energy efficiency is the only option for "energy survival" for the country: implementation of official plans for construction of new power facilities is lagging behind schedule, while energy saving cost can be 4 or 5 times lower than investments into building of new generating facilities. Under the new law, all enterprises, which pay for energy consumption 10 million rubles (about 342 000 USD) per year, will be required to conduct energy audits by 31 December 2012. Energy audit companies, manufacturers of energy saving and LED lamps, metering devices, manufacturers of materials for repairs can expect profits. It is crucial that the law mentions renewable energy. The original text of the bill even provided incentives for "equipment and facilities, the actual power consumption of which is achieved for more than a half at the expense of secondary and renewable energy resources, as well as alternative fuel sources." After the State Duma hearings, this rule disappeared from the text of the bill, along with other "state regulatory actions". However, it is important that the law amends the Tax Code (article 67 of the first part): now organization investing in facilities related to renewable energy is rewarded by investment tax credit (the same measure is provided for investments into objects with highest energy efficiency and heat and electricity facilities with energy efficiency of 57 per cent). Quite important is the reference in the text of the law, that increased use of renewable energy should be one of the indicators in municipal and regional programs in energy conservation. Rights of energy consumers are regretfully not defined in the law, and that decreases their motivation for energy saving, and paves the way for arbitrariness of monopolists. "For example, contracts of suppliers of heat and housing cooperatives in St. Petersburg stipulate fuel expenses, and later any deviation from the contract, even saving of it results in fines for consumers, -- Olga Senova of Russian Socio-Ecological Union comments. -- This negates all the attempts of housing cooperatives to save heat. Our efforts in SPARE project to save energy in Russian public schools were inhibited by the fact, that schools could not use the money they got by saving: next year they simply got less money. The more you save, the less you get from the state next year”. Russian Socio-Ecological Union states that it is necessary to amend the new Law on Energy Saving with rights of ordinary energy consumers, and additional measures, motivating proactive implementation of energy efficiency at home, at school, at office, and in all areas of life.